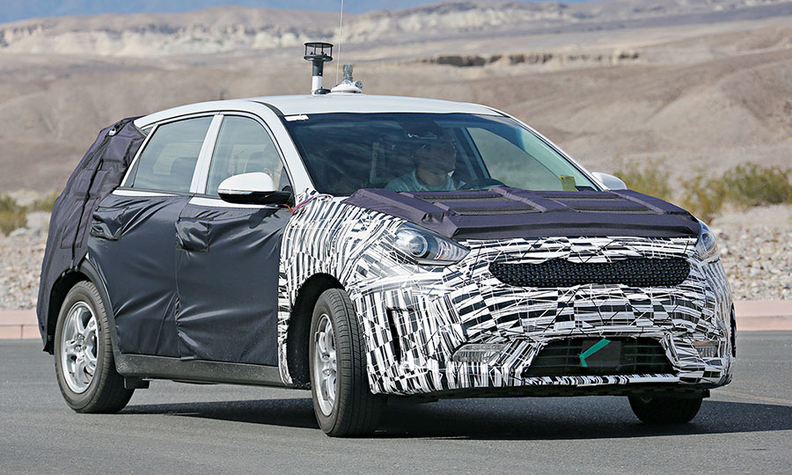 Kia is gearing up for a run at the fast-growing subcompact crossover segment with a dedicated hybrid model, above, spy photos suggest. About the size of a Honda HR-V, the unnamed Kia is likely to share a platform with a Hyundai model. Spy photos indicate the vehicle may have an electric-only mode. 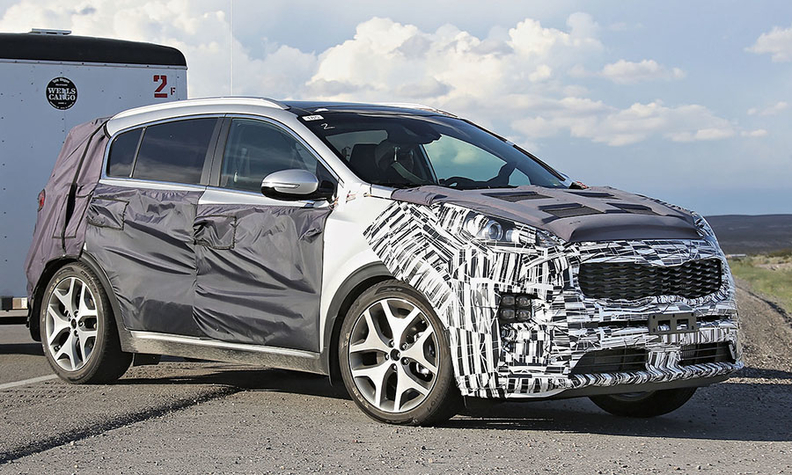 Also caught testing was the next-generation Kia Sportage compact crossover, left. The new Sportage, due around 2017, looks more aerodynamic than the current version.